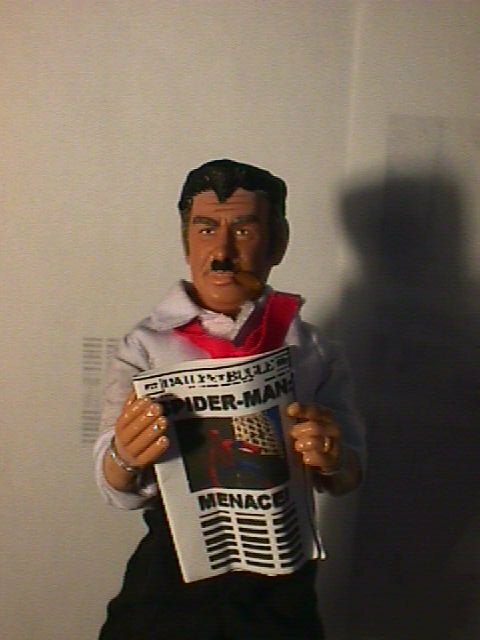 New York newspaper tycoon J. Jonah Jameson is the owner and publisher of the Puitzer-Prize-Winning Daily Bugle. 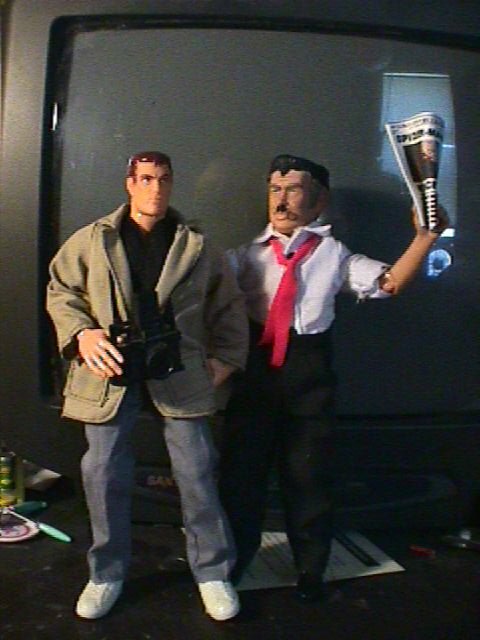 The Bugle's reputation as "The Picture Newspaper" is amply upheald by free-lance Photographer Peter Parker (seen below with Jameson) whos coverage of Jameson's bete nior, the amazing Spider-Man, has won several Pulitzers for the paper and the young shutterbug. 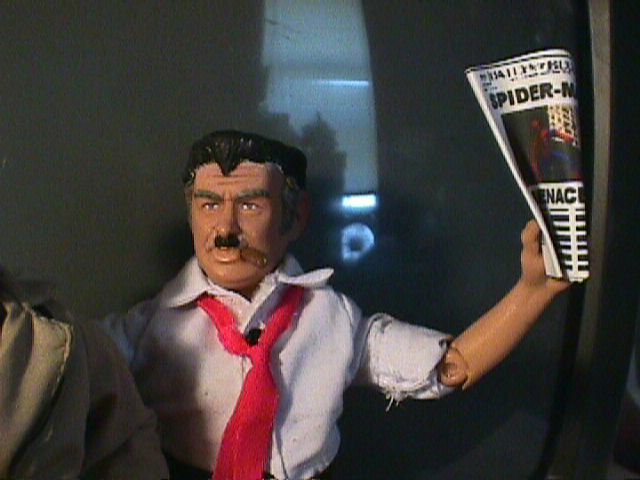 Today's Bugle sports another Parker Photo, illustrating yet another chapter in Jameson's longstanding crusade against the web-slinger. George Burns body, costume and cigar. Jed Clampett's head. Custom-sculpted hair, piece of cloth for the tie, custom-printed newspaper. Peter Parker is wearing Big Jim's white socks, Ken's sneakers, Michael Jordan's golf slacks and Baseball shirt, and Jed Clampett's jacket. His camera comes from the 10" Marvel Universe Peter Parker.